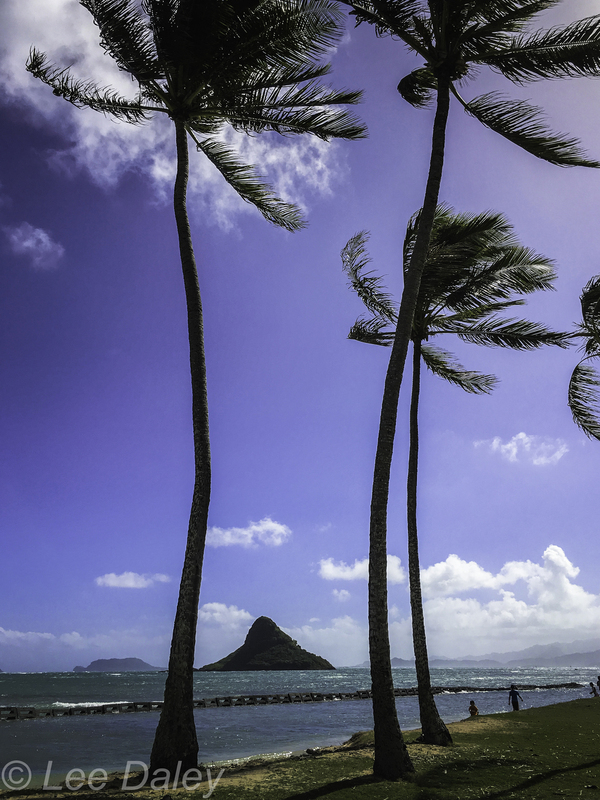 If you’ve spent time on the island paradise of Oahu, you’ve most likely been to Waikiki and even Diamond Head. Beyond these classic beauties lies a world of hidden beaches, secret waterfalls and dramatic overlooks. Spending a day on Oahu with a local photographer familiar with little known native favorites affords the opportunity to capture dramatic scenes not typically seen by visitors. Not only that, you will find having your own photographic instructor by your side pretty much assures you will take home cherished photos depicting the essence of the island’s beauty. On a recent visit to Oahu, I hooked up with Marie Turner, owner and founder of Blue Hawaii Photo Tours, and spent a day cruising around Oahu with her. We were accompanied by two couples eager to explore the island from a local’s viewpoint while honing their photographic skills. Lesley and Sylvia, sisters from Vancouver, were comfortable with their “point and shoot” equipment but wanted to push the envelope enough to learn a few pointers. A young couple from Australia, she with an iPhone and he with a borrowed SLR, were both enthusiastic adventurers. Setting out at daybreak, we circled the island stopping about eight times at choice locations with an added stop at Turner’s favorite shrimp truck stop on the North Shore where we devoured delicious fresh-caught grilled shrimp with rice and greens. While on the North Shore, we were lucky enough to catch the world-renowned Van’s annual surfing tournament at the Sunset Beach Bonzai Pipeline. Waves cresting at close to 10 feet were awash with world-class surfers riding high, offering classic surfer shots. Knowing the tide was high, Turner navigated our group to the Halona Blowhole, where the ocean has drilled a hole through a lava outcropping. Aware of the rising surf, she knew the cresting waves would provide us with dramatic photos from several key lookout points. 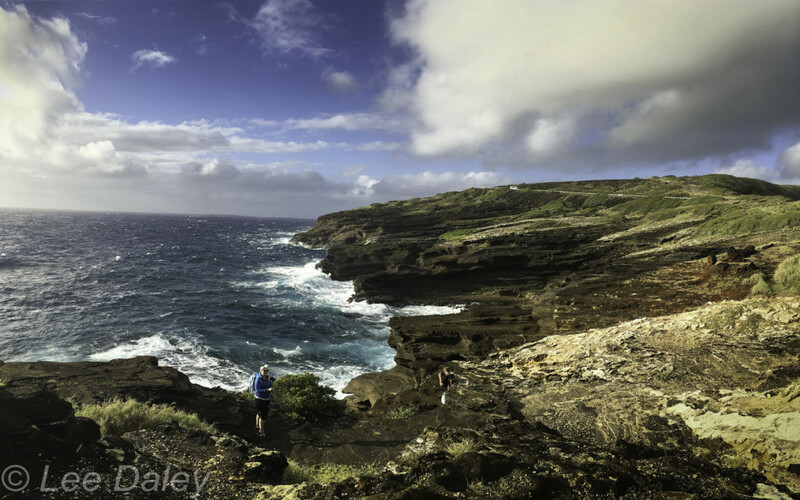 Another photographic highlight took us to La’ie Point with its view of several off shore islands. One small island close to shore has a natural arch almost in its center that was created by a tsunami back in the 1940s. The point itself offers 360 degree views accompanied by a symphony of crashing waves. All in all, our navigation covered Oahu locations as diverse as a lava beach, a white sand beach, movie locations and a sweet hidden waterfall. 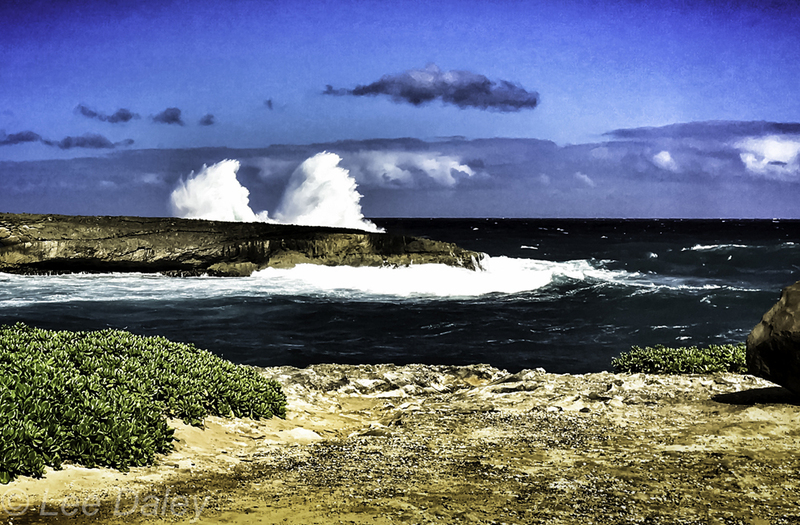 La’le Point, Oahu where dramatic surf crashes against a small island near shore. At every stop, Turner spent time with each client, explaining camera settings and iPhone tricks while working with individual skill levels. By the end of the afternoon, her straight forward tips covered topics from composition, to lighting, to macro, to saturation, to HDR, even video. For me, the highlight of the day was the exposure to so many of Oahu’s magnificent sites, places I might have found on my own but would have had to devote many more days to discover. Another benefit was Turner’s knowledge of the lay of the land. Along the drive, she peppered her photo tips with tales of local lore interspersed with information on current events and practical advice right down to the names of the best Happy Hour restaurants in town. 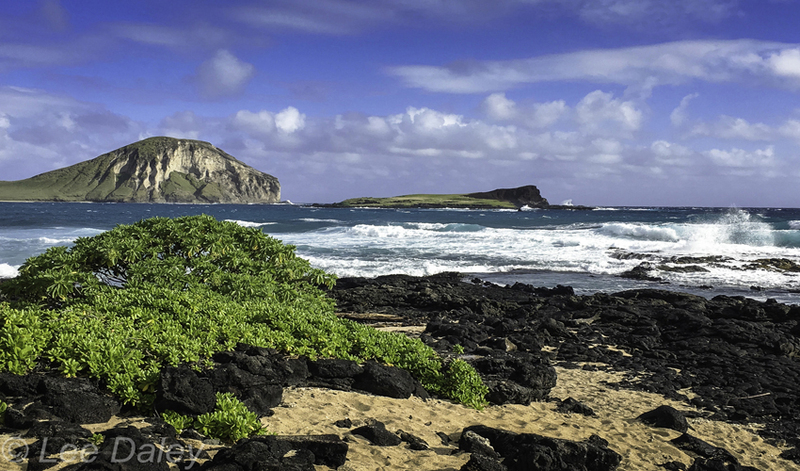 Blue Hawaii Photo Tours offers full day excursions all over Oahu as well as sunset and sunrise photo tours. 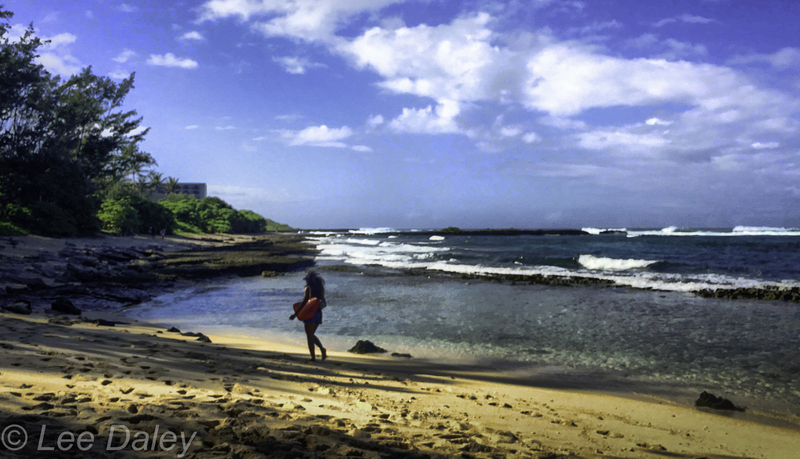 Visit the website at www.bluehawaiiphototours.com. Tel: 1-808-799-5554. 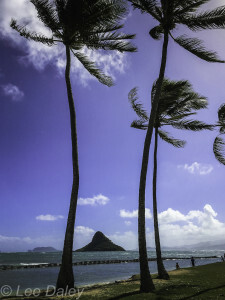 For information on visiting Oahu, be sure and visit the Hawaii Visitor site at www.gohawaii.com.